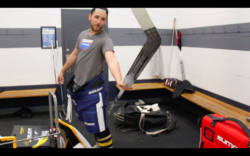 So recently I had the chance to demo the entire Bauer 2S Pro line from head to toe at the Royal sports Demo day in Winnipeg and I’m going to break the ice here. Aside from the 2sPro stick, I could not have been more disappointed with the 2S Pro line, considering I was about to pull the trigger on a new custom set a few weeks ago. Thankfully I didn’t order, lets get into why. 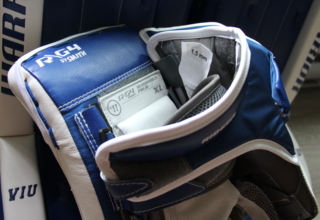 So, I received 2 full demo sets of 1S OD1N gear from Bauer last calendar year and I loved the performance. 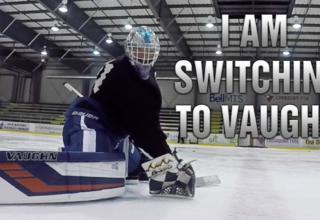 From the glove’s weight, to slide-ability on the pads to flexibility in the blocker for cleaner saves when shifting. It had it all. However, the biggest con for me (and 99% of other consumers) is price point and durability. I went through 3 difference 1S gloves from July 2016 until April 2017. Keeping in mind I missed about 6 weeks of that with injury time. So, I’m going to chalk that up to 8 months of actual usage. Sadly, I can’t comment on the durability at a demo event. I mean if a set starts falling apart after a 15-minute demo session that’s a whole separate article but that didn’t happen here. 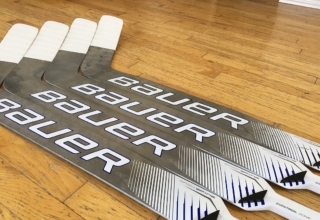 Bauer claims they’ve resolved all the durability issues with the 2s Pro line. However, every company is going to throw that type of propaganda at you when promoting a brand new product, its business 101. Price point is still the highest on the market right now, plus uncharges for going custom so safe to say they charge a premium price. I have no problem paying a premium price for a premium product but is it worth it? Allow me to tell you. So, let’s start with the stick since it’s really the only big positive here. It’s lighter than the 1s by 10% apparently. 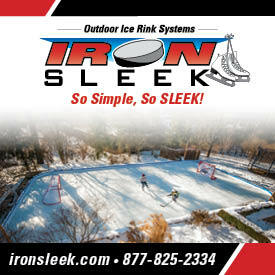 The 1S is still lightest model of stick on the market so that should give you an idea how much better the 2s is. Stick handling and deflecting is like a dream (as did the 1S). Assuming its as durable as the 1S, it’ll be the best stick on the market for the next 2 years. Competitors won’t even touch the 2S Pro for another 4 years, meanwhile makes the 3s and 4S that much better and lighter. Bluntly put, as I’ve stated in the video where I demo’d everything 2S. If you have ever worn a TRUE skate, you can never wear anything else. Right now, Bauer and CCM are offering what I can only describe as their knock off version of TRUE’s 3D foot scanning software for custom skates. 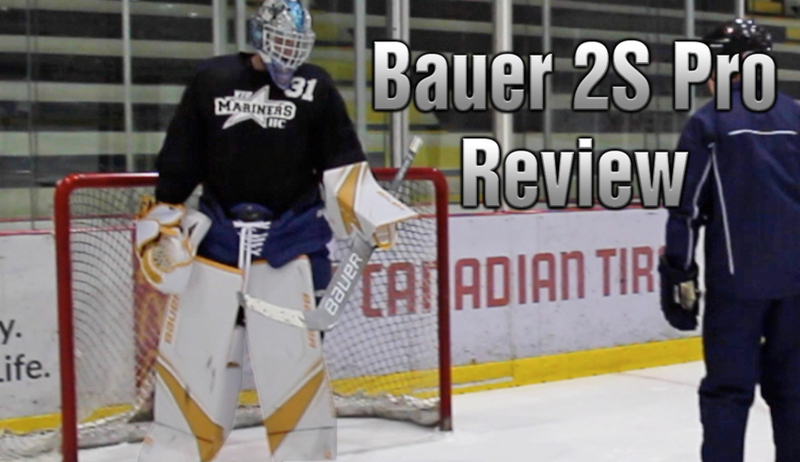 Since my childhood I’ve been a lifelong Bauer goal skate user and never used anything else. After switching to VH 2 years ago I can safely say I’ll never go back. My reasoning being that, from day 1 my feet are NEVER sore in VH/TRUE skates, I have superior energy transfer, explosive power/feel with them and everything else about them. 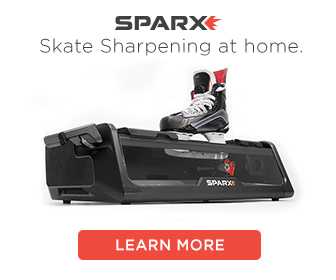 After Demoing the 2S Pro skates it reminded me why I switched in the first place. Sore feet, less responsive feel, etc. I didn’t notice a huge difference in the blades since I’ve been using Bauer Cowlings on my VH skates for 2 years but recently after switching to Tydan blades I’m starting to see the difference. 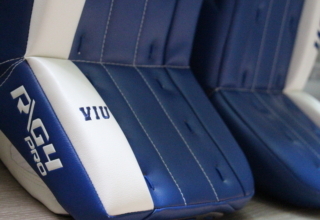 Pads are similar to the 1S and so is the blocker. I never had any issues with my 1s blockers but if the pads didn’t break down they’d have a home run in value. Pads are stiff, rotate very well, rock hard laser like rebounds. Strapping system is still good. However, with the glove, I feel like they changed up the materials or internal makeup from the 1S. They changed the single tee to double which is now stock. Overall, I liked the 1s glove a lot better. I think the biggest problem with Bauer is inconsistency. I felt aside from the 2s Pro stick everything lacked consistency. 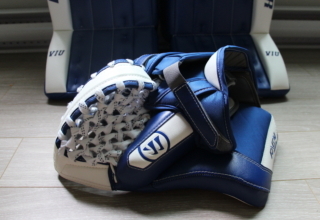 Each of the 1S gloves I had last go around felt difference and had a difference feel and closure. May be a problem at the factory or the manufacturing process but like in the on ice aspect of goaltending, consistency is key to being successful. What’s the verdict? Disappointing. I have no problem with the sticks. I’m probably going to pull the trigger on a custom pack however, if I was to ever order a custom set of 2S Pro pads, glove, blocker and skates I’d be scared shitless of what will come when my order arrives. 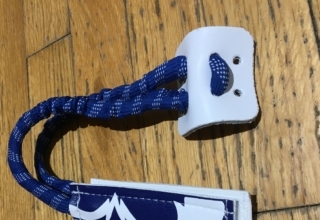 Will the glove feel anything like the one I demo’d, did they mess up my custom skate scan, etc. Overall, I think they have a lot more work to do at the drawing board and as somebody who would be dishing out their own cash for a set, after demoing them I wouldn’t even consider investing a dime into a set. At least as of this moment in time, maybe that changes in the future. Thanks for reading this review article. For more review coverage, follow me up @ Trav4oilers on Instagram, Twitter and YouTube.